Nintex has acquired RPA provider EnableSoft. Functionize raises $16 million in Series C funding. Nintex has acquired Orlando, Florida-based robotic process automation provider EnableSoft for an undisclosed sum, it announced. 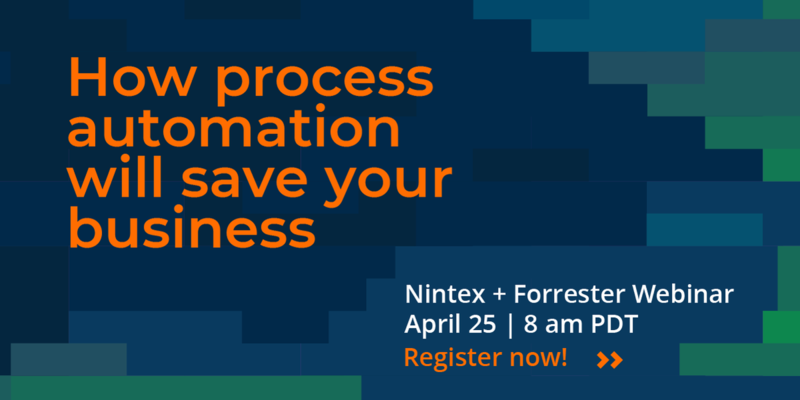 Nintex, the global standard for process management and automation today announced a strategic partnership with Adobe to bring new native electronic signature capabilities, called Nintex Sign powered by Adobe Sign, to Nintex partners and customers. Why Nudge.ai? Reach out to the decision makers at Nintex with a personalized email - let them know that you found their recent news mention interesting. Nudge.ai’s relationship intelligence platform can help you find the right executive to reach out to at Nintex, such as Kim Albrecht, Interim Chief Marketing Officer, or Dustin Grosse, Chief Marketing & Strategy Officer. Then get in touch and start a conversation. Executives can be difficult to reach, but every company has connectors who bring together people and ideas. At Nintex, people like Jeff Shearer, and Peter Samaan are likely connectors. When Nintex is mentioned in the news, Nudge.ai often sees topics like Marketing, and Healthcare. If your conversation focuses on these topics, you’ll probably get Nintex’s attention. When Nintex is mentioned in the news, companies such as PR Newswire, Appian Corporation, and Third Door Media are often also mentioned. These companies can serve as customer examples. Employees who are often in the news are usually open to starting conversations or exploring ideas. Nudge.ai's sales AI saw Josh Waldo, and Ryan Duguid from Nintex recently mentioned in the news. AltoCloud, Channel Mechanics and Planet 21 Communications are just a few of Ireland’s tech startups looking to the States for growth via partners. Who in your network can introduce you to Nintex? Nudge.ai finds the best pathway to reach contacts at this company.